1- To represent the best names of God, He manifested to our ears by His name The All-Hearing so we hear. He manifested to our eyes by His name The All-Seeing so we see. He manifested to our tongues By The Speaker so we speak and utter. He manifested to our minds by The All-Knowing so we know. He manifested to our bodies by The Everlasting so we are alive and move, the same for the other best names. 17:70. "We have honored the sons of Adam; provided them with transport on land and sea; given them for sustenance things good and pure; and conferred on them special favors, above a great part of our creation". 51:56. "I have only created Jinn and people, that they may worship Me". 11:61. "It is He Who has produced you from the earth and settled you therein,"
49:13. "O mankind! 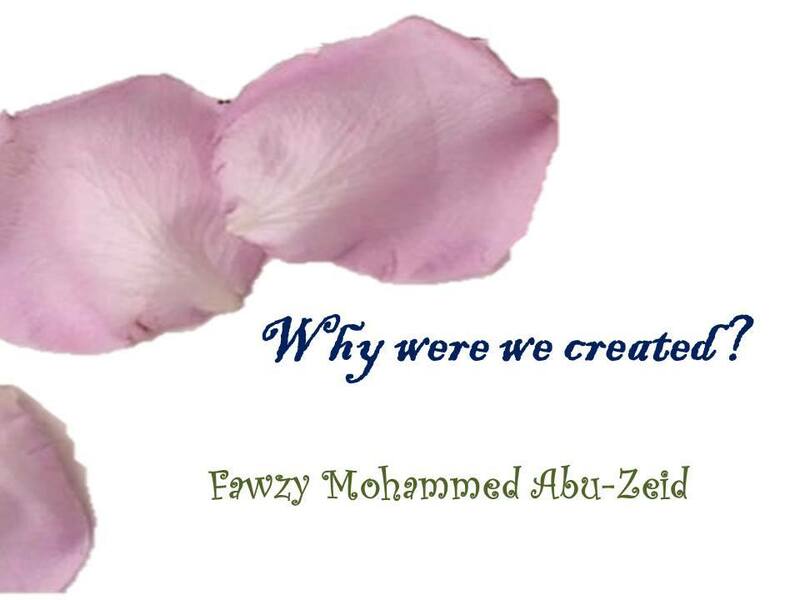 We created you from a single (pair) of a male and a female, and made you into nations and tribes, that you may know each other". - لن يغلب عسر يسرين . - وأملنا في الله كبير..
- كيف أتعامل مع المصيبة ؟! - من أخطاء الحياة كثرة الخلطة بالناس ..
- معاناة علاقة محرمة .. ! - HOW CAN MAN BE REBORN AGAIN? - HOW DOES ISLAM CARE ABOUT FAMILY CORRELATION? - العز بن عبد السلام " سلطان العلماء "
- الشعبة الرابعة عشر: حقوق الأزواج على بعضهم. - الشعبة الثانية عشر: إكرام الجار. - الشعبة الحادية عشر: صلة الأرحام. - شعب الايمان العاشرة: إعطاء القريب حقه.